OZ Minerals saw copper and gold production exceed 2018 guidance at its Prominent Hill project in South Australia. OZ Minerals (ASX:OZL) saw copper and gold production exceed 2018 guidance at its Prominent Hill project in South Australia. In a quarterly report released Thursday (January 24), the company said Prominent Hill produced 110,111 tonnes of copper and 130,856 ounces of gold during 2018. This pushed just past respective guidance of 100,000 to 110,000 tonnes and 120,000 to 130,000 ounces. In November 2018, OZ increased Prominent Hill’s underground ore reserve to 40 million tonnes at 1.7 percent copper equivalent, with a 50-percent increase in proved reserves, and extended the asset’s mine life to 2030. The company plans to continue resource drill programs in 2019 to further extend Prominent Hill’s year-on-year mine life. “2018 was a strong year all round for OZ Minerals. Operationally this marks the fourth year we have met or exceeded copper guidance at Prominent Hill. From a growth perspective, we marked several milestones towards achieving our strategy of becoming a global copper focused miner,” OZ Managing Director and CEO Andrew Cole said in a statement. 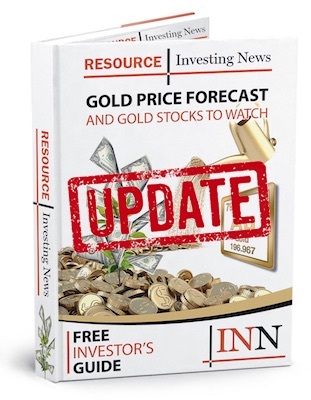 The report highlights that the company’s 2019 focus is on delivering its Carrapateena copper-gold project, also in South Australia. It is currently in “peak construction,” and is on schedule to see first concentrate production in Q4 2019. Alongside Carrapateena, the company is looking to advance its West Musgrave joint venture project, in which OZ owns a 51-percent stake. It is currently in the prefeasibility study stage. OZ also has development projects in Brazil’s Carajas and Gurupi provinces, and is looking to expand its optimization efforts in both areas this year. The company saw net revenue over $1.1 billion in 2018, and has a current cash balance of $505 million after investing in growth projects. OZ Minerals’ share price was up 3.38 percent at the end of trading on the ASX on Thursday, closing the day at AU$9.47.